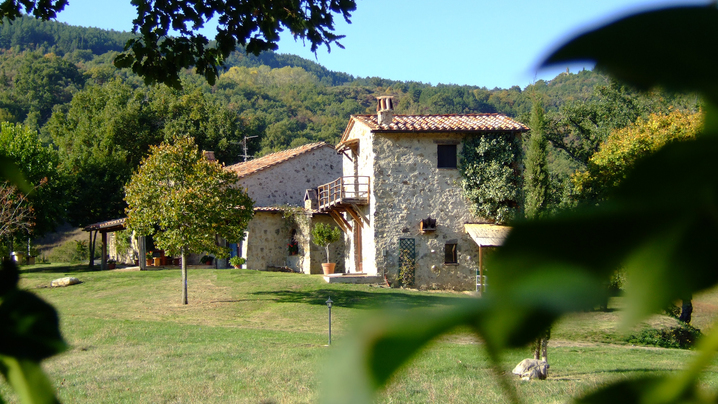 Yoga & Meditation Retreat with Jana & Julie in Cinigiano, Italy. 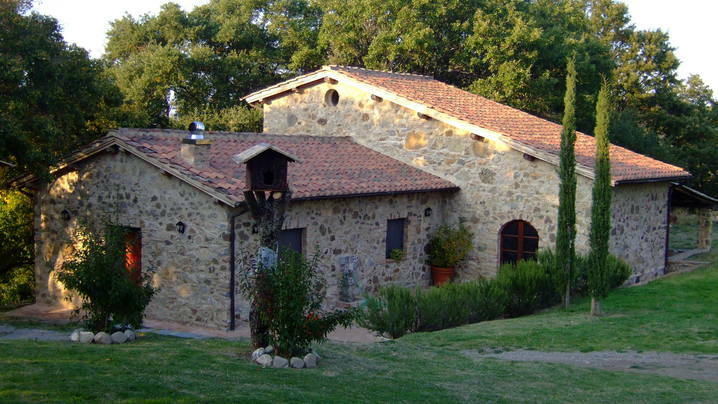 Our yoga retreats to Italy will blend good physical and mental health with good living. 18 people have already booked this trip! Jana and Julie have over 11 years experience teaching all yoga levels. Each day there will be two yoga and meditation sessions. The focus of our sessions are to open the pathways, quiet the mind and to experience the stillness and ease of our true nature. Hatha, Vinyasa, Yin and Restorative Yoga. Not included: flights to/from Rome, Pisa, Florence, Perugia and travel insurance. Guests are responsible for purchasing travel medical insurance and cancellation insurance which are also not included. Jana immediately fell in love with yoga and the joy she found from the asanas and meditation the first time she stepped on her mat. Jana is a registered 500HR Yoga Therapy Instructor. She continues to study with wonderful teachers, and she enjoys teaching a variety of classes. She has studied with Rod Stryker, Judith Lasater, Ana Forrest, David Swenson, and many other incredible master teachers. Jana's goal is to share the joy she finds from yoga and help others along as they find themselves on a journey with yoga. She most recently was certified in Primordial Sound Meditation through Deepak Chopra and is currently enrolled in their Ayurveda Perfect Health Teacher Training. Jana is a Third Level Reiki Practitioner. She has studied Swedish Massage, Deep Tissue Massage, Myofascial Release, Cranial Sacral Therapy and Lymphatic Drainage Therapy and Thai Yoga Massage. Jana enjoys spending time with her husband, Chris, her friends and family and two dogs, Max and Milly. Julie Parsons, 500+ERYT began teaching hatha yoga after completing her first 200 hr program at The Yoga and Movement Center in Walnut Creek, Ca in 2005. Her 200hr training also included a 6 month apprenticeship with Diane Valentine and other California Bay Area teachers. Next she added 150 hours of training and assisting with Judith Hanson Lasater in Restorative yoga making her an Advanced Trainer in Relax and Renew Restorative Yoga. After moving back to Texas in 2006, Julie began teaching at Divine Center of Yoga in Southlake, Tx and then 3 years later in 2009 became co-owner of the studio. While teaching and operating the studio she completed her 500 RYT certification from Purple Lotus in McKinney, Tx, certified in Pink Ribbon Recuperative Yoga with Amy Garrett and Julie Byrd, certified Reiki 2 master, certified in Primordial Sound Meditation through Deepak Chopra, and currently enrolled in Ayurveda Prefect Health teacher training through The Chopra Center. Jana and Julie are owners of Divine Center of Yoga in Decatur and Southlake, TX. Julie Parsons began teaching hatha yoga after completing her first 200 hr program at The Yoga and Movement Center in Walnut Creek, Ca in 2005. Her 200hr training also included a 6 month apprenticeship with Diane Valentine and other California Bay Area teachers. Next she added 150 hours of training and assisting with Judith Hanson Lasater in Restorative yoga making her an Advanced Trainer in Relax and Renew Restorative Yoga. After moving back to Texas in 2006, Julie began teaching at Divine Center of Yoga in Southlake, Tx and then 3 years later in 2009 became co-owner of the studio. While teaching and operating the studio she completed her 500 RYT certification from Purple Lotus in McKinney, Tx, certified in Pink Ribbon Recuperative Yoga with Amy Garrett and Julie Byrd, certified Reiki 2 master, certified in Primordial Sound Meditation through Deepak Chopra, and currently enrolled in Ayurveda Prefect Health teacher training through The Chopra Center. 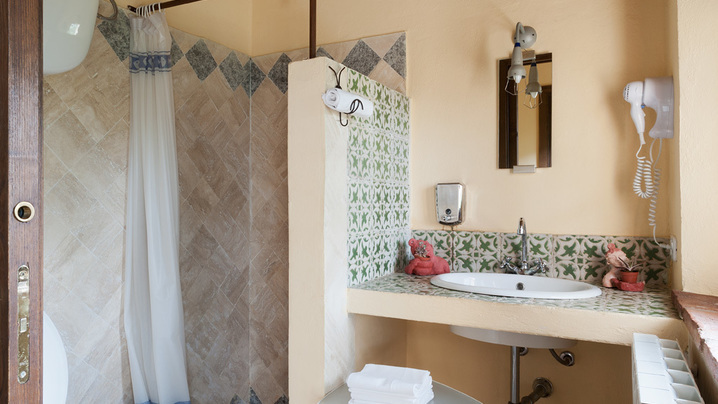 The villas are immersed within a 50 ha estate of rolling hills, vineyards, groves and woodlands. Having no immediate neighbours means we have total privacy, and no noise restrictions or curfew; making it an ideal venue for a retreat or a special celebration such as a wedding or birthday. The gardens are a playground for adults and children alike: lime, oak and cherry trees provide shade, while lavender and thyme, roses, jasmine and broom perfume and enliven the landscape. Dip into our swimming pool for respite from the midday heat and enjoy lounging on the deck chairs until sunset, watching the sky turn red and feeling the cool evening air descend. We have been hosting retreats and providing support to teachers and workshop leaders for more than a decade. Many of our clients return year after year, becoming friends along the way. We feel that teamwork is key to creating extraordinary experiences and we will help you craft a unique and inspiring program: from planning your menu and tailoring activities to making you and your guests feel at home in our home. A multifunctional studio with plenty of natural light, it is generously equipped with yoga and tatami mats, tables, chairs and blankets as well as a sound system. For those wishing to practice immersed in nature, there is a large sundeck and a shaded porch adjacent to the studio. In the cooler months the space is kept warm and cosy by a wood burning stove. My trip to Cinigiano, Italy was fabulous! Such amazing food, lots of site-seeing. The yoga studio was so amazing. Highly recommend the Tuscany area. It was so beautiful and relaxing and the natives are all so welcoming. I didn't initially know anyone that was attending the trip, but everyone was very nice and made me feel welcome. 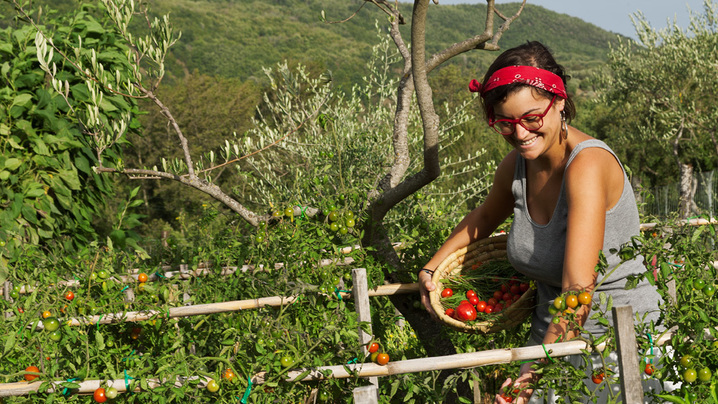 The Italian Adventure with Suzanne Hauserman was every thing I needed; yoga, hiking, cooking class, great food, great wine, fantastic excursions and meeting like minded people, I did not want to leave. What an amazing experience. I cannot day enough about Elana and her fabulous staff! Very serene location and the food was unbelievable! Everything is done with love and it shows! Le Pianore can not be explained with words. I will try- amazing, breathtaking, spiritual. The food was delicious and the hospitality was amazing. I fall in love with Le Pianore. So good! The whole thing from start to finish was perfection. Well, whenever I think about Le Pianore and the time spent with my best friends, I start to well up. The land was magical, literally. Obviously Caitlin is my friend but she’s an incredible teacher. Between yoga (when I could do it), meditation, and silent walks my soul is so full. My love is a natural and I’ll keep going on her retreats. I’ll also be going back to Le Pianore. Home away from home. Amazing classes, beautiful location, just perfect! Cinigiano was truly amazing! Le Pianore was beautiful and the food was perfect. I would recommend this trip to any and everyone. 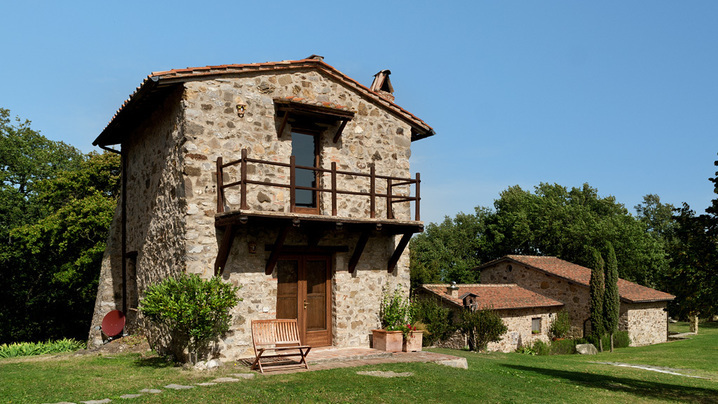 The trip was beyond my expectations and Le Pianore was the perfect, quaint, BEAUTIFUL spot for the retreat. 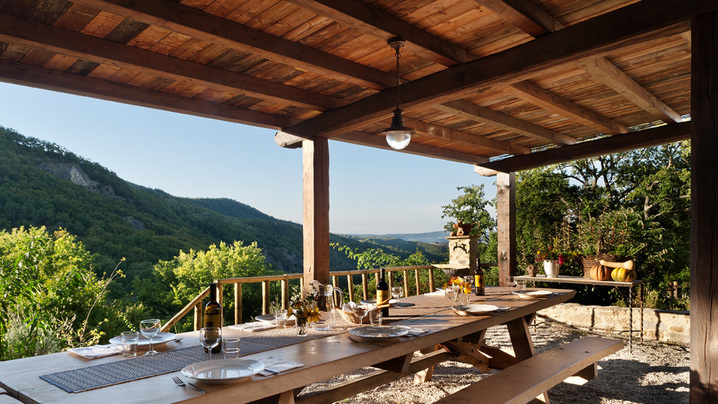 From waking up each morning to the sound of chirping birds, practicing yoga in a studio with the most spectacular views imaginable to the tasty, healthy, fresh meals each day and fantastic off-site excursions that were planned. And the Micillo family (proprietors) were so lovely and accommodating to all of our needs and requests. Kudos, also, to Julie and Jana for all of their hard work and planning that went into putting together this wonderful trip! Perfect trip from beginning to end. 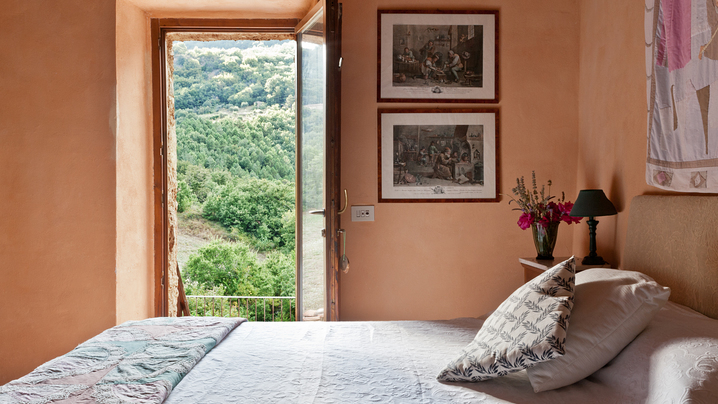 Breathtaking Tuscan views from your comfy room. Delicious, fresh cheeses, vegetables, breads and regional dishes prepared and served with love. So enjoyed roaming the countryside, exploring flora and fauna, tasting the fruits of the land...all with the brightest of blue skies. Day trips to Siena, private wine tastings, charming towns and villages put you right inside the heart and soul of the region. Hosts Elena and Enrica charmed us from our first hello-hug to our last kisses goodbye and our drivers proved fun and engaging. Give yourself this trip; you will be glad you did! Join Jana's Tribe and stay up to date on their trip!